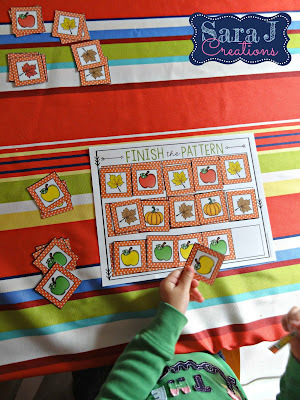 One of the areas I knew I wanted to focus on in our fall homeschool preschool this year was some basic patterning. K has worked on patterns a bit when she plays the app Bugs and Buttons on my tablet. (Total side bar here but this is a great game for young kids. So many great skills covered!) She never seemed to understand the concept, though. She would just guess and try all of the choices until she found the one the fit. I knew we needed a little more practice but I didn't want to overwhelm her so we were just going to focus on AB patterns. On this particular day, we were working on completing patterns. I printed out all the cards for all the shapes included in all the patterns and put them in front of her. This proved to be a little overwhelming for her. When I would go through the pattern with her and then ask what would come next, she would pick a random shape that wasn't even in the pattern but was sitting on the table. Yikes. Change of plans. We worked on one line at a time. We would pick the cards that we needed for that pattern and then slide the others out of the way. Then I had her cover the pattern that was already there on the paper so she was physically touching each card and starting to see the pattern. This seemed to help because she started to quickly figure out the answer! I also created blank patterns to create your own but K is not there yet. I actually should have started with my cover the pattern page. No completing the puzzle, just simply copying it with the cards. Then we could have moved to the finish the pattern page. Regardless, she is starting to understand patterns now. She is seeing them more and more in the world around her. The other day my mom was babysitting and K (in an effort to delay falling asleep) decided she needed to go to the bathroom during naptime. My mom went up to check on her and she didn't go. She told my mom, "Sometimes I say I have to go to the bathroom and then I don't go and sometimes I say I have to go to the bathroom and then I go. That's a pattern." Ha!! If only I could figure out the pattern and make sure she goes before bed instead of while she is supposed to be sleeping. The things kids say. 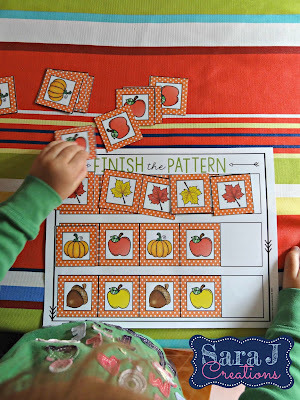 This fall pattern activity is part of my Fall Preschool Unit. 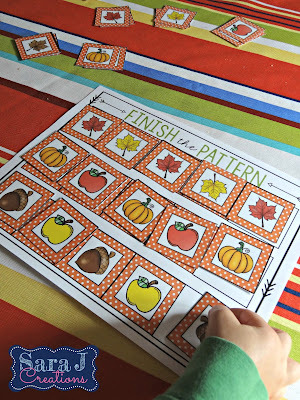 You can find this activity and more fall fun HERE. where is this pattern from? Can we print it out? I think my 3/4/5 year olds would love it! Hi Christina. I just added the link above. 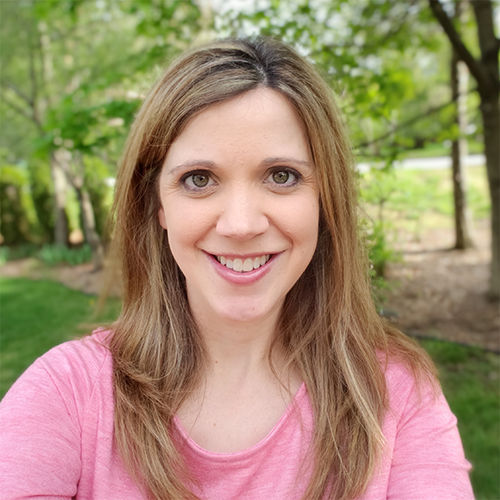 I linked all the pictures above but failed to put a link in the text. Hope this helps!